Had the opportunity to spend some time with a group of LSU RLM's Jr Docents. 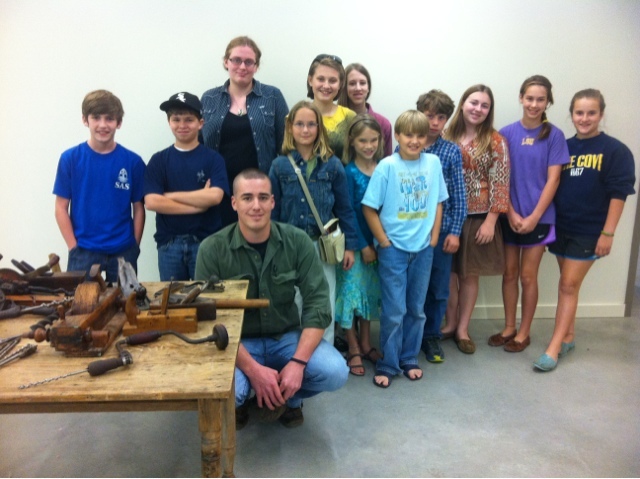 We had a little talk about 18th & 19th Century wood and lumber working tools. They got to use some of the tools and to top things off they all went on a Scavenger Hunt looking for and labeling the tools. It was a great bunch of kids, I was impressed to meet a young group of respectful and receptive kids. Hats off to their parents - that's a rare thing in these days.